In 2011, the state began preparations to replace the aging Combs Bridge and offered the old structure to government agencies, historic preservation organizations and individuals who could re-erect the bridge.1 Under the program, the state and the Federal Highway Administration would pay the costs of marking parts of the bridge, dismantling it, transporting it to the new site and off-loading it. A contract was let for the new Combs Bridge on July 11, 2014, which was completed in 2015 at a cost of $4.3 million.3 Unfortunately, with no one interested in receiving the old Combs Bridge, contractors were left with removing the structure by controlled blasts.2 On February 10, 2016, around 2 p.m., detonators were set to remove the old bridge which collapsed into the river. Elkins, H.B. 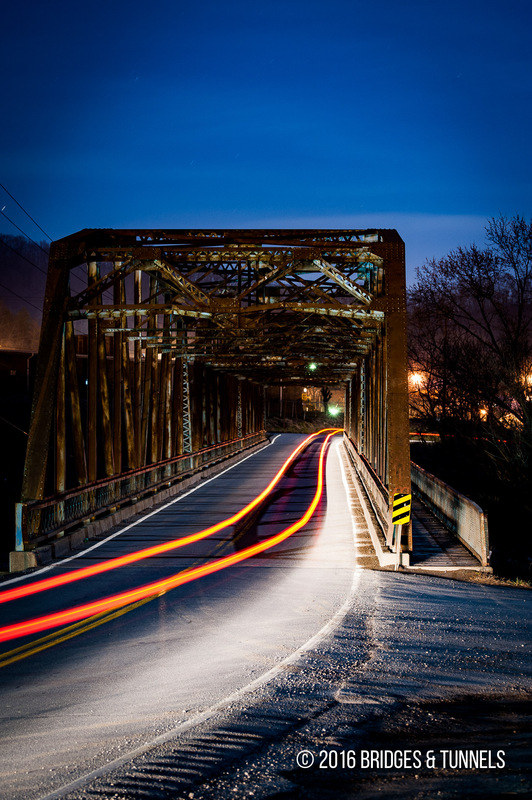 “Transportation Cabinet Seeks New Home for Historic Perry County Bridge.” Kentucky Transportation Cabinet. 24 Oct. 2011. Web. “Traffic alert for KY 80 in Perry County.” KYTC District 10. Facebook, 9 Feb. 2016. Web. 16 Feb. 2016. Article. Lyttle, Nathan. 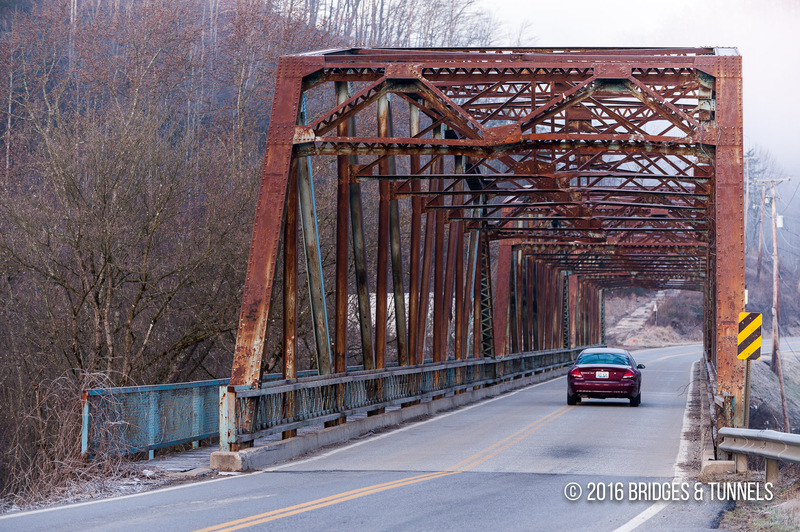 “WATCH: Bridge demolished in Perry County.” WYMT. 10 Feb. 2016. Web.